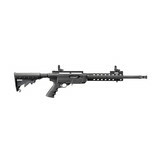 RUGER SR 22RDS BLACK HARDCOAT .22LR W/ SIGHTS - Corlane Sporting Goods Ltd. 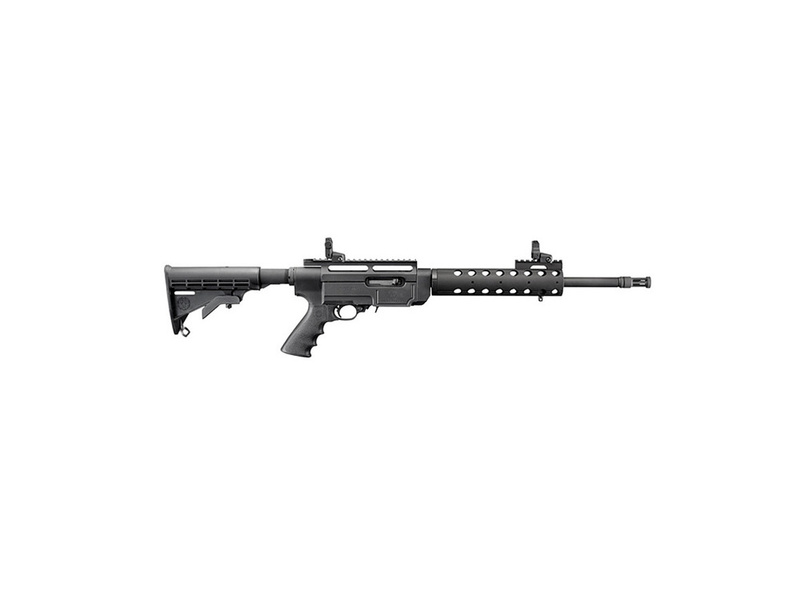 The autoloading Ruger SR-22 Semi-Auto Rimfire Rifle combines the reliability of the Ruger 10/22 with the ergonomics and configurability of the Ruger SR-556. The SR-22 Rifle places a standard 10/22 action inside a top-quality, American made, all-aluminum chassis that is custom-manufactured to Ruger specs. Features a Picatinny rail optics mount; rapid-deploy sights; round, mid-length handguard; and a patented, detachable 5-shot rotary magazine. This product faithfully replicates the AR-platform dimensions between the sighting plane, buttstock height and grip. Black, collapsible synthetic stock.